We’ve got answers, even if nobody was asking. 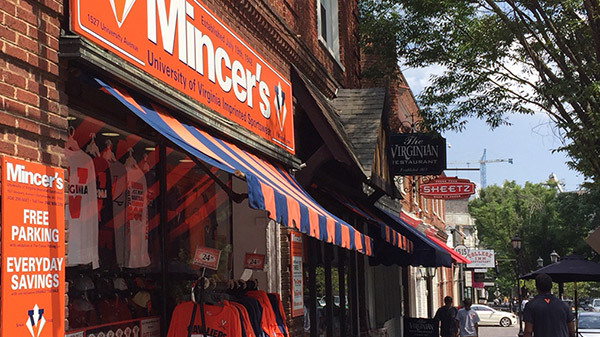 Our summer list of UVA fun facts. Which Corner businesses are the oldest? 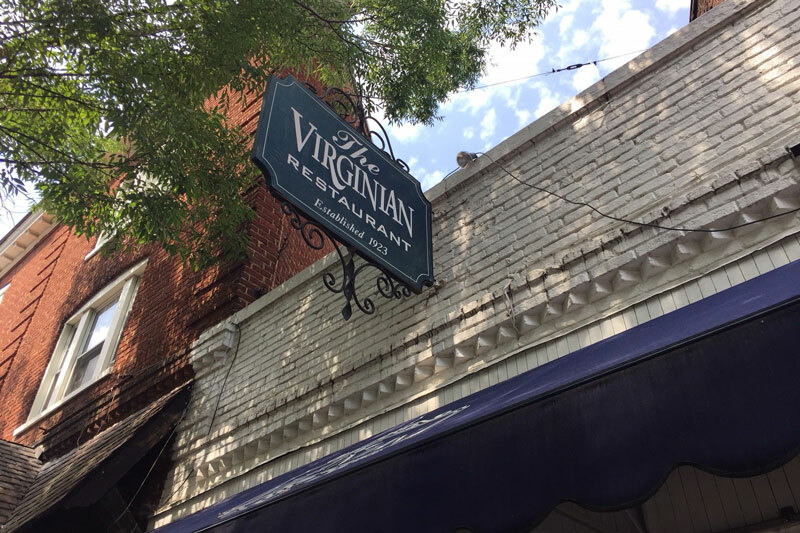 Not long after UVA started classes in 1825, a commercial district took root where the road leading into Charlottesville’s downtown intersected with the edge of Grounds. The Corner, it came to be called. 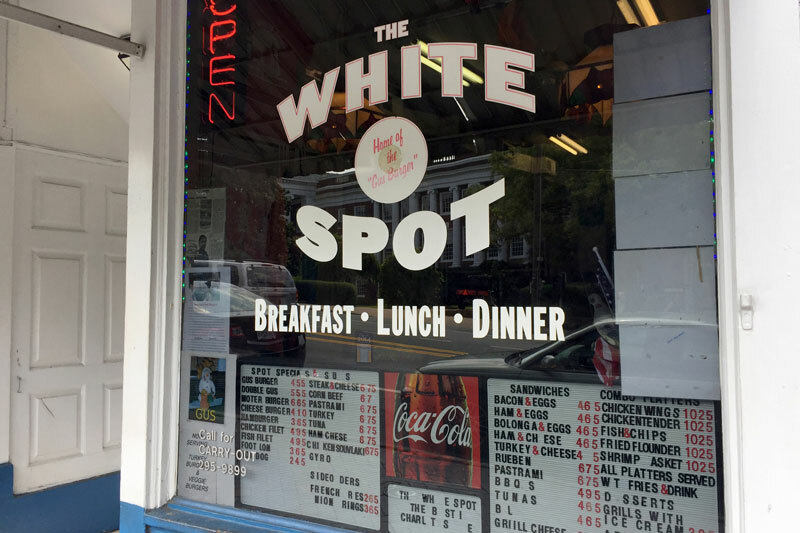 While that stretch of businesses has seen a lot of change, and no original establishment remains, you’ll still experience a bit of the past when you enter the doors of these longstanding popular spots. 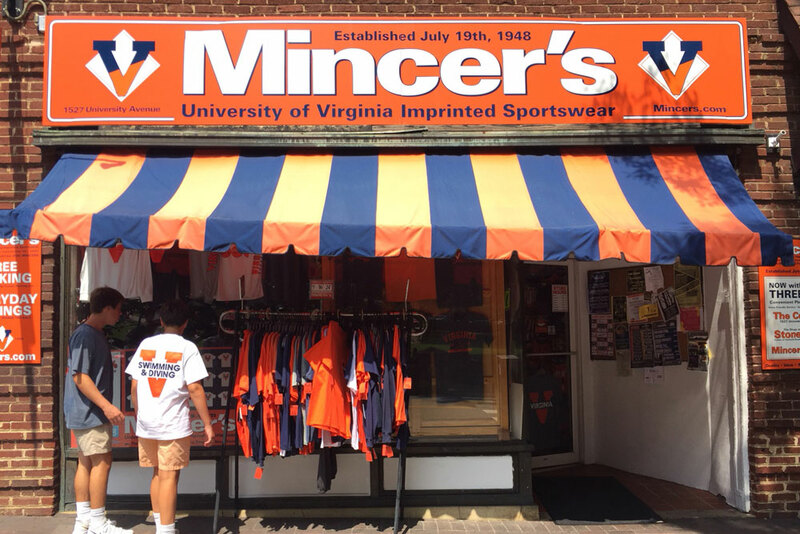 When it first opened as Mincer’s Humidor, college men wore coats and ties and smoked pipes and cigarettes. When the store moved down the street to its current location (becoming Mincer’s Pipe Shop), it broadened its offerings and served as the go-to place for whatever students needed: records, school supplies, custom-blended tobacco and Western Union money orders, according to owner Mark Mincer (Com ’85), grandson of the founder. Times changed, and a few specialty T-shirts evolved into the sports apparel business we know today. Still family-owned, and that’s saying something. 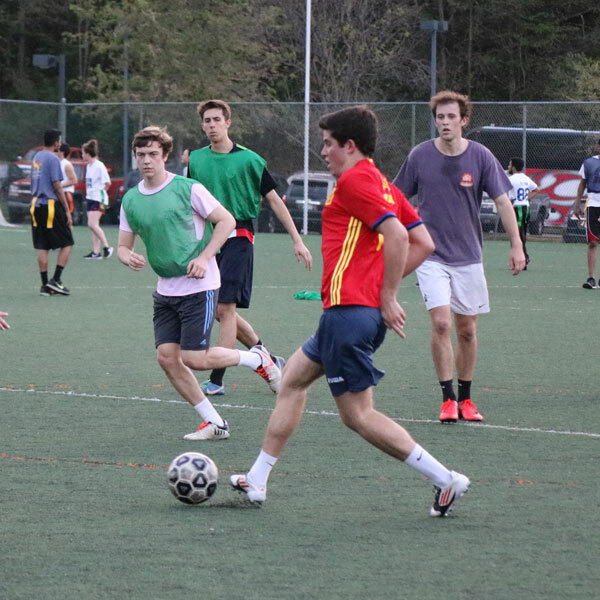 Even if you’ve never seen a soccer ball before, O’Connor says, “come out and just have fun.” UVA fields about 120 teams each year. 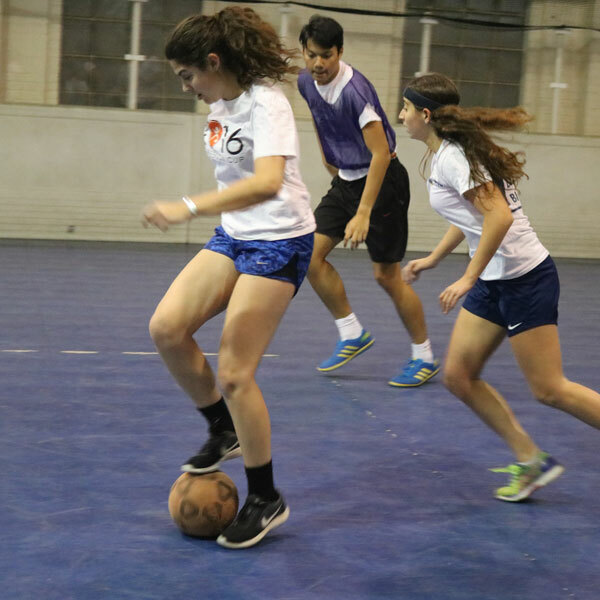 This sport almost ties outdoor soccer in popularity, with nearly as many teams. Getting together with friends on warm fall evenings when the sun is still shining makes this sport a huge draw, drawing about 100 teams. Soccer of any form is a win in central Virginia, and this is played on a short field, with only seven on a side. 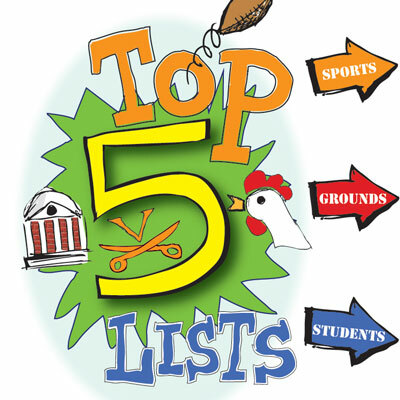 Can you name UVA’s top dogs? 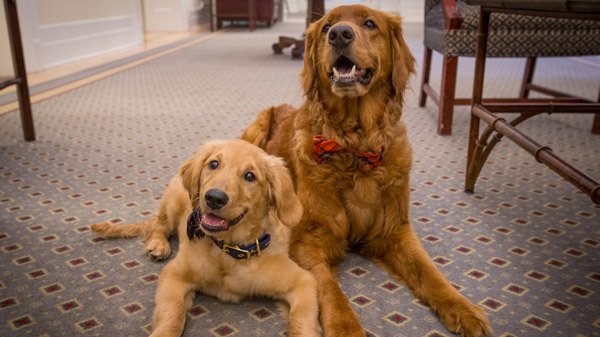 While UVA has never named an official dog, the students have certainly done so. Official or not, more than a few canines have wagged their way into people’s hearts—greeting new and old friends alike while strolling the Grounds or wandering classroom halls. Obviously, there’s not room to tell of all the pups who have called UVA home over the years, but here are a few. 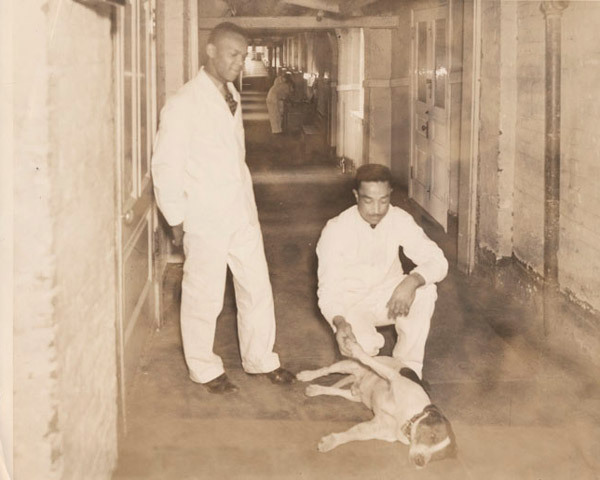 Named for his home turf, the Beta Theta Pi House, Beta was a black-and-white mongrel who was welcome all over Grounds in the 1920s and ’30s. As one story has it, he showed up for a course in Cabell Hall so frequently that his name was added to the roll call. And, of course, when you keep company with college students, you taste more than a few beers. Beta eventually died in 1939 after being struck by a car, and an estimated 1,000 mourners showed up for his funeral. 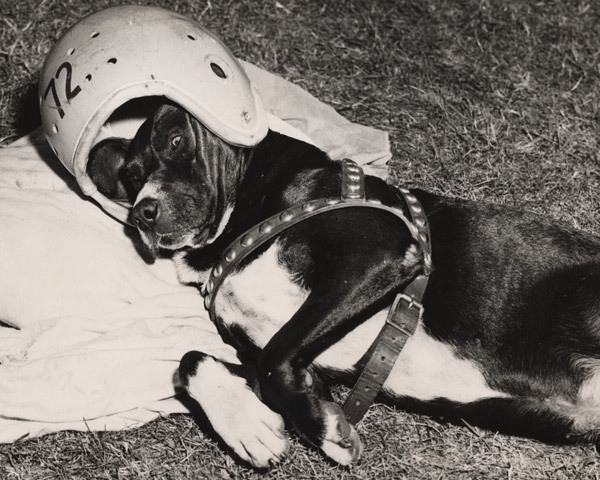 Almost a decade after Beta’s death, starting in about 1947, another mutt took up the mantle of unofficial mascot to the football team. Seal was also welcomed into lecture halls, fraternities and even local restaurants. His fame reached its height in fall 1949, when he lifted his leg to the megaphone belonging to a cheerleader on the opposing Penn team. When Seal died in 1953, his funeral procession topped 1,500. He was laid to rest next to Beta in the University Cemetery. A friendly golden retriever named Baxter became a celebrity both on Grounds and across the internet in 2008, when he began appearing on a blog hosted by his owner, associate dean of admissions Jeannine Lalonde. 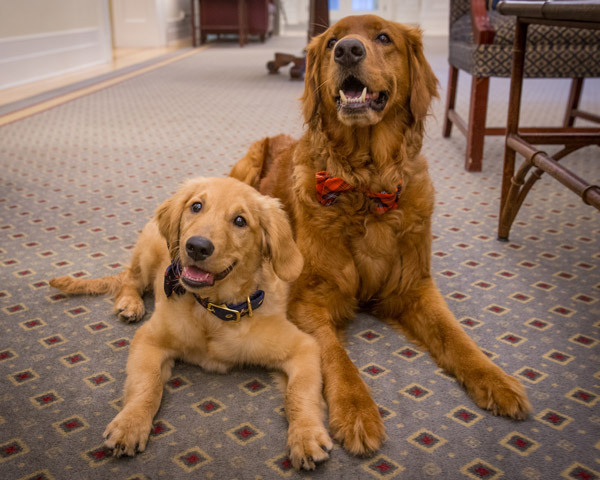 Often wearing a UVA bowtie, Baxter soon earned the nickname CavDog as he greeted current and prospective students and their parents. 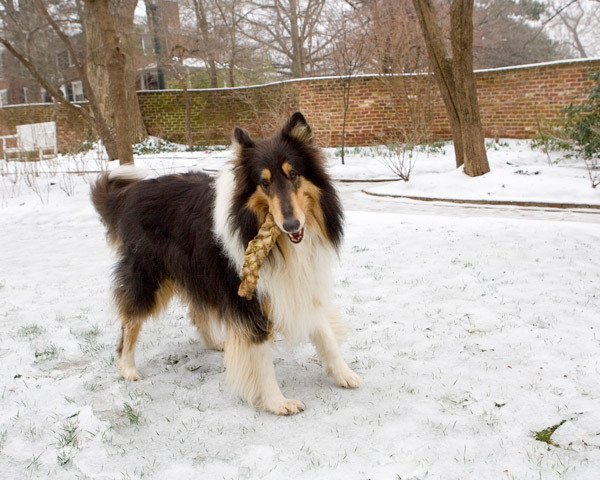 Before he died in 2015, CavDog was joined by a golden retriever puppy named Jack, who quickly outgrew the moniker “CavPup” as he learned the ropes from his older brother. Their distinct personalities really showed up during Days on the Lawn. With Baxter, Lalonde explains, “when we would sing ‘The Good Old Song,’ I would drop the leash and he would just stand there and hang out.” But with Jack, Days on the Lawn can quickly become Squirrels on the Lawn. 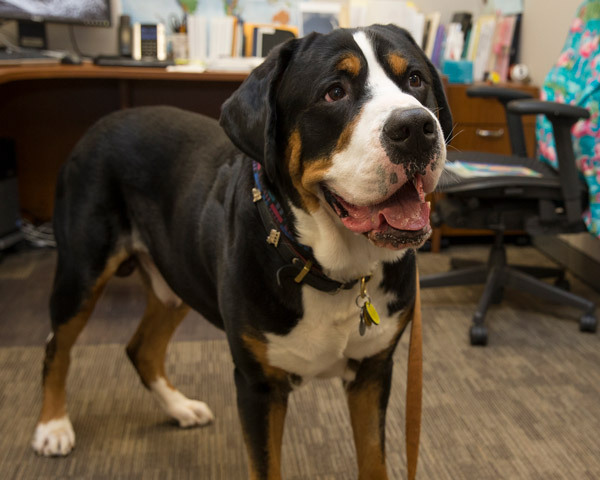 “I still have to hold the leash,” Lalonde says, “because as soon as he sees something, he wants to check it out”—whether that be squirrels, the marching band, Cav Man or simply some friendly students. While Beta and Seal were unabashed mutts, George was an award-winning greater Swiss mountain dog—“Best of Breed” at the Westminster Kennel Club Dog Show in 2012. Weighing in at 145 pounds, he was nonetheless a gentle, goofy giant and even made an appearance in the kissing booth at a dance marathon. Certified as a therapy dog, George visited patients at the UVA Medical Center. “People got Swissies because they met George in the hospital,” says his co-owner Nancy Kechner (Educ ’83, ’05), UVA women’s club rugby coach (recently named USA Rugby Female College Coach of the Year) and research and computing specialist for UVA libraries. When he wasn’t winning titles, George hung out with the team. After Kechner had to have George put down in 2016, the house was just too quiet, she says. So she adopted Rex and then Teddy (George’s grandson)—also Swissies. What’s in, what’s out at the dining hall? Nothing stays the same. Not in life, and certainly not in the dining hall. 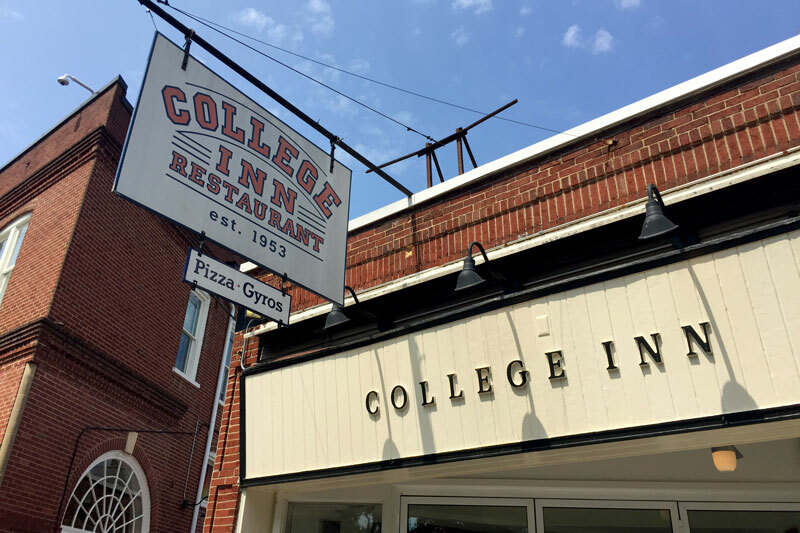 Consider what’s “in” and what’s “out” at each of UVA’s three main dining halls, according to the food-service company Aramark. 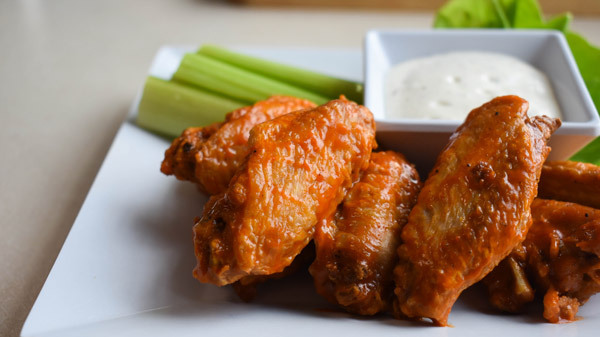 Buffalo chicken wings. 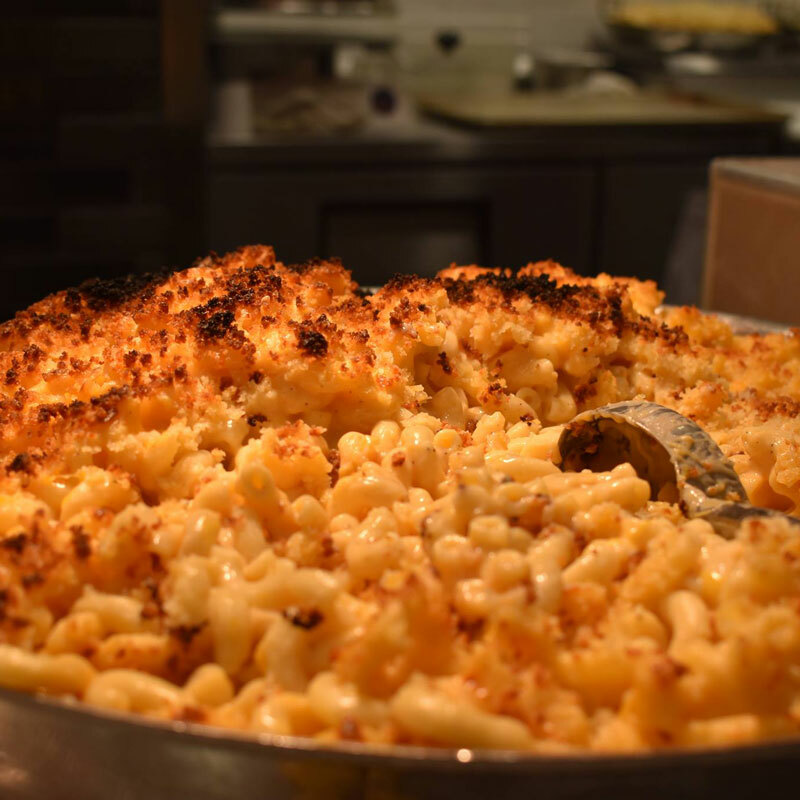 Students asked for them (it never hurts to ask), and they’re a winner on “Wahoo Wing Wednesday” at Newcomb Hall’s Fresh Food Co.
Macaroni and cheese. 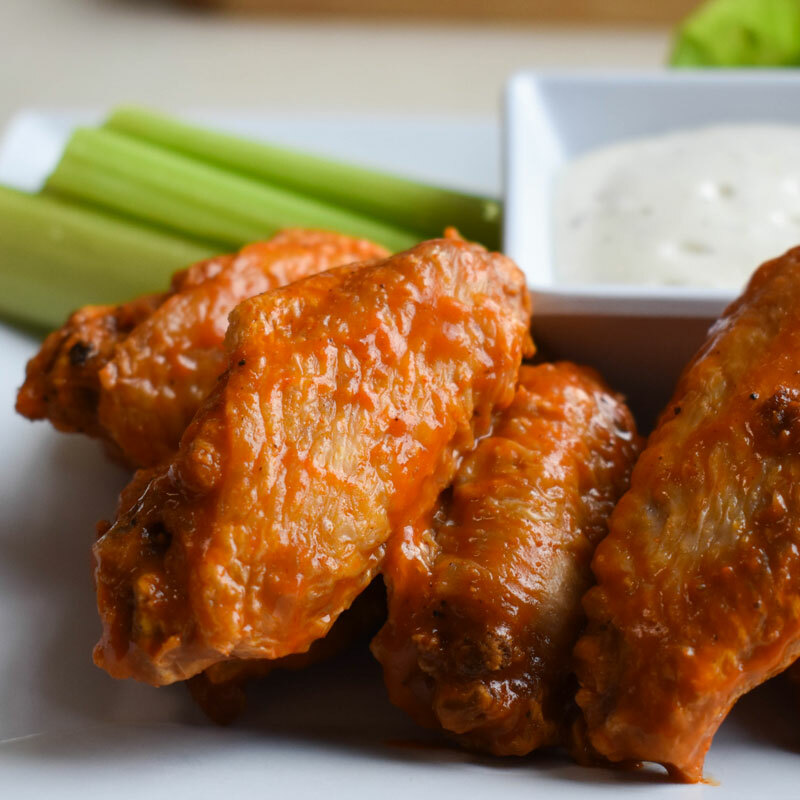 Carb-loaded comfort food at its finest. And who doesn’t love a “build your own mac-and-cheese bar”? Again, visit Newcomb Hall for this one. Virginia Local Station. 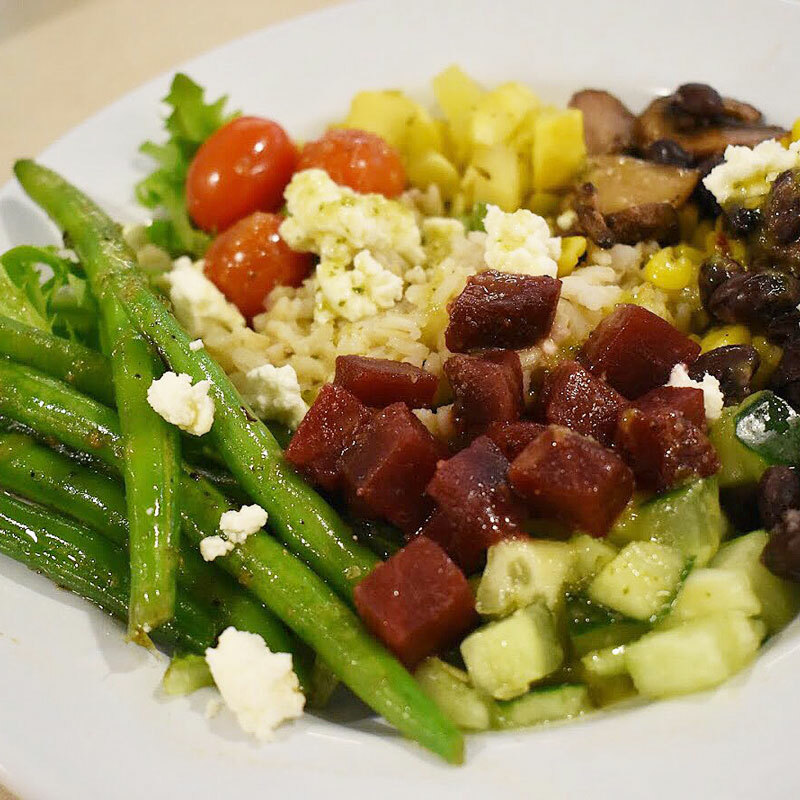 Newcomb Hall’s all-vegetarian station, with a minimum of three items sourced locally. O’Hill chicken and waffles. 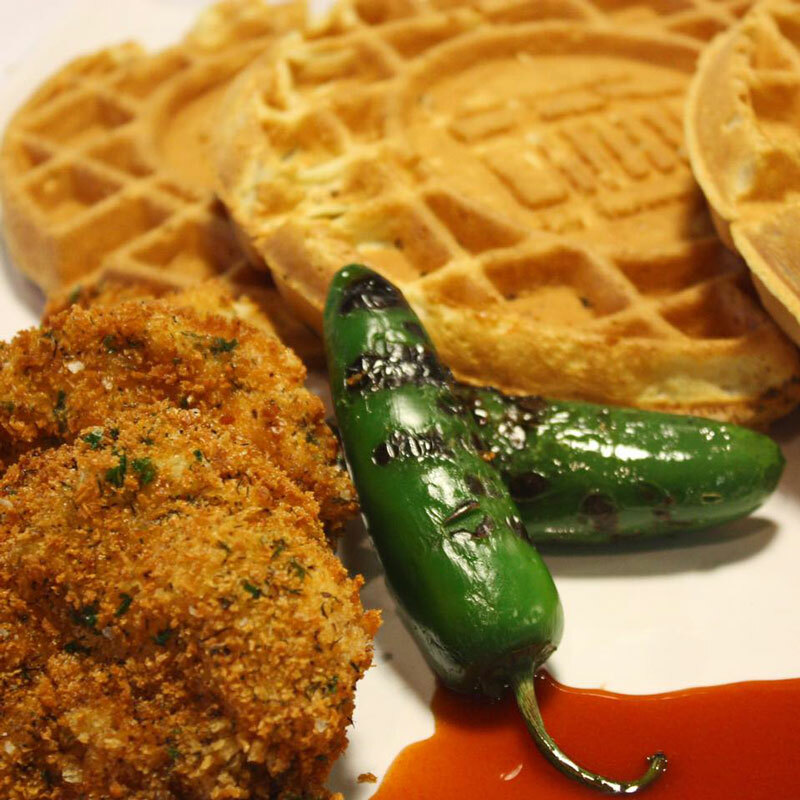 “Chicken and Waffles Wednesday” features a custom syrup on top of a Rotunda waffle and fried chicken. So many good calories. Pizza. 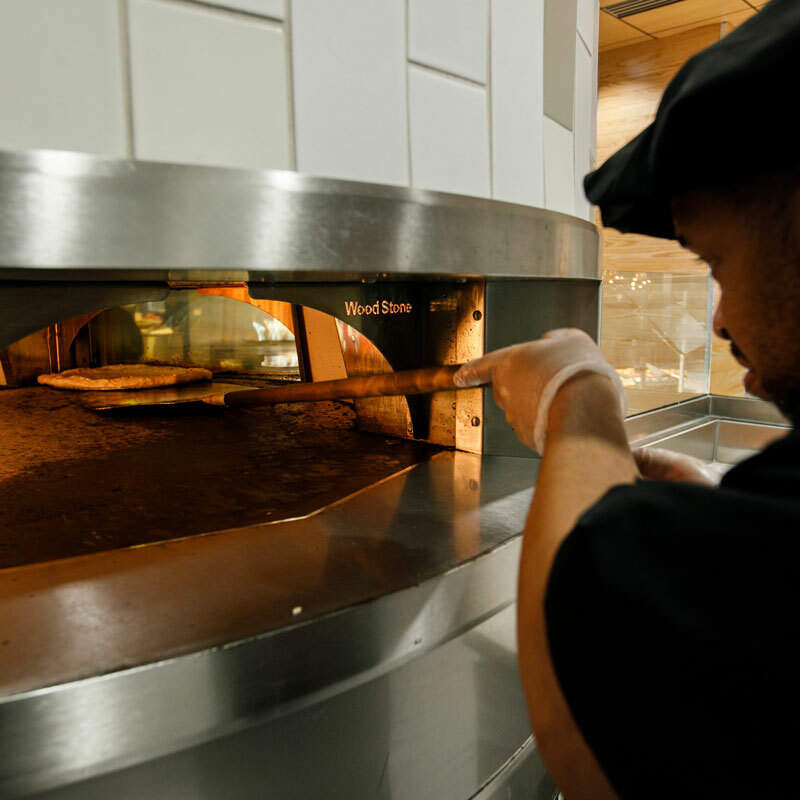 This classic go-to across all dining rooms nevertheless takes it up a notch when baked in the Wood Stone pizza oven at Runk. Nuts (except in clearly marked bakery items). You just can’t be too safe when it comes to allergies. Frozen beef patties. Welcome to beef that’s now sourced from Seven Hills Food, a Virginia family farm just down the road. Non-halal fresh chicken. This decision makes food options more inclusive for everyone. Non-cage-free eggs. Here’s to responsible sourcing and more humane practices. Frozen vegetables. To put it simply: Fresh veggies taste better. What books are current bestsellers at the UVA Bookstore? What student groups have been around the longest? 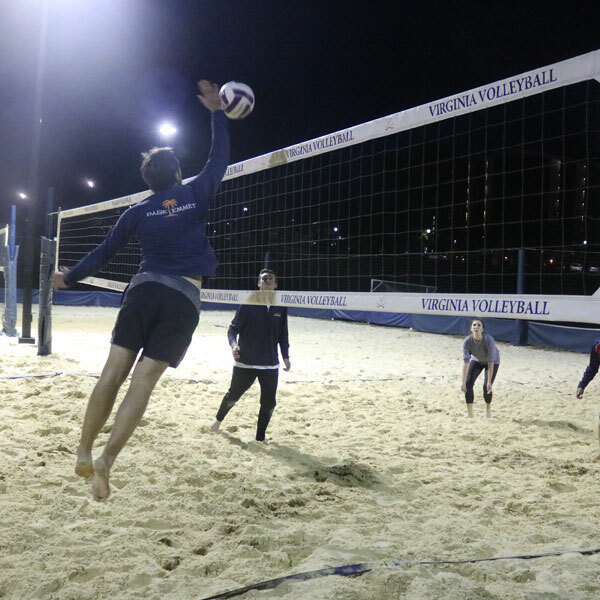 With UVA’s emphasis on student leadership and responsibility, it’s no surprise that from the beginning, student organizations have played a major part in shaping University life and policies and providing the all-important fuel that grows a community. But it might be surprising to learn that even as times and cultures change, some things remain the same. 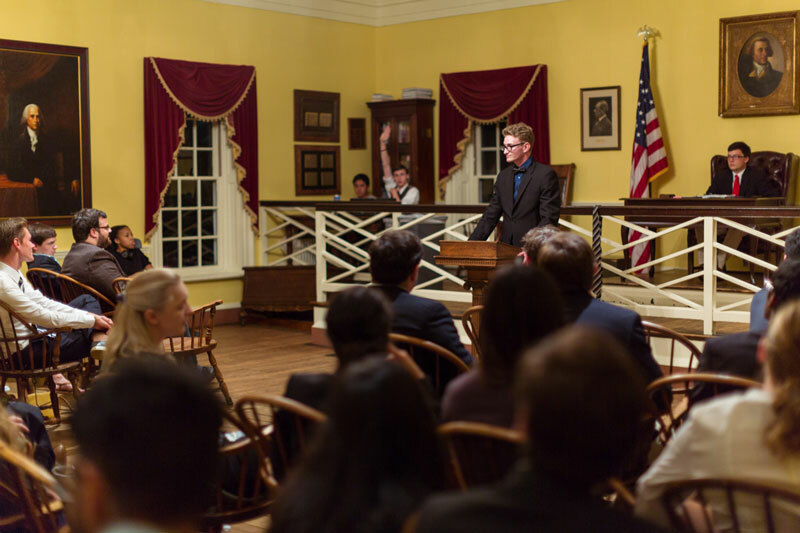 Founded only a few months after UVA opened, the Jefferson Society continues its tradition of rousing debates and literary presentations that reflect what matters to UVA students. A glance through some of the archived minutes from its meetings quickly reveals that while some issues stay the same (concerns over the Honor System), others have decidedly shifted (whether women should be admitted to the University). If it matters to the student body, the Jefferson Society will be opening up a debate about it. Famous members over the years have included Woodrow Wilson, Edgar Allan Poe, and Virginia governor and UVA President Colgate Darden. 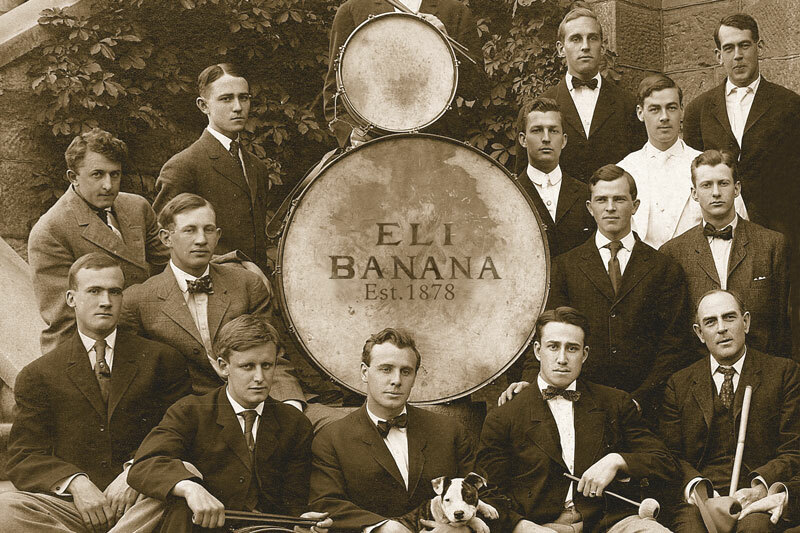 Secret societies have long been part of University life. Over the years, some became not-so-secret, and others held onto their mysterious aura. 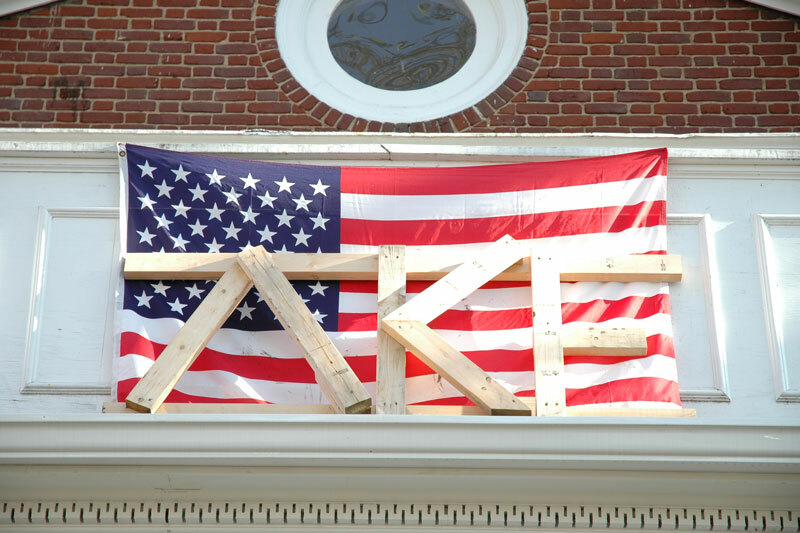 Delta Kappa Epsilon’s launch as a secret group caused UVA to initially refuse formal recognition. Soon, however, Greek organizations became an integral part of student life. Chi Omega was the first women’s fraternity established at UVA, in 1927 (before the term sorority was in use, and almost half a century before undergraduate admissions would fully enroll women). African-American fraternities and sororities were first established in 1973. Today, 61 Greek organizations exist at UVA: 38 fraternities, 22 sororities and one gender-inclusive LGBTQ fraternity. 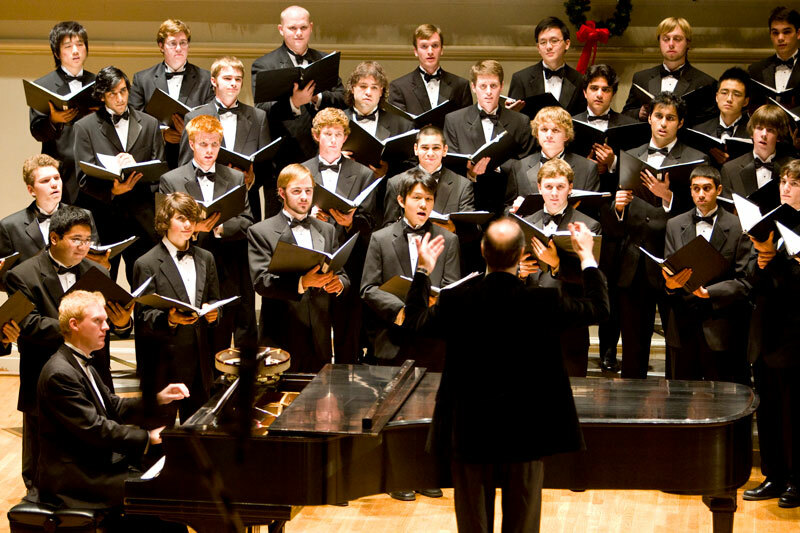 In powerful four-part harmony, the Glee Club has performed on both national and international stages. Its original name—Cabell House Men—indicated its composition (all-male) and what would become its primary home concert location (Old Cabell Hall). 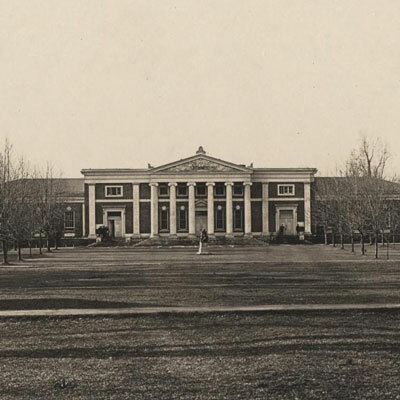 Some famous names lent their voices to the Glee Club over the years, including Woodrow Wilson (who sang first tenor during the 1879–1880 season) and future UVA President Frank Hereford (second tenor during the 1941–42 season). World War II caused considerable disruption during Hereford’s participation, according to the Virginia Glee Club Wiki pages: “Though the Club continued activities on Grounds, they cancelled out of town singing engagements owing to the shortage of tires.” In 1953, the Glee Club spun off UVA’s first a cappella group, the Virginia Gentlemen, giving it a considerable head start on pop culture’s current love of a cappella (think Pitch Perfect). The editors voiced in the preface of its inaugural edition: “Be it successful or unsuccessful, let us hope that it will at least be permanent.” Apart from the year 1945, when publication temporarily ceased during World War II, this student-run yearbook had a hearty run for 119 years. After a gap of six years, starting in 2009, Corks and Curls again resumed publication in 2015. 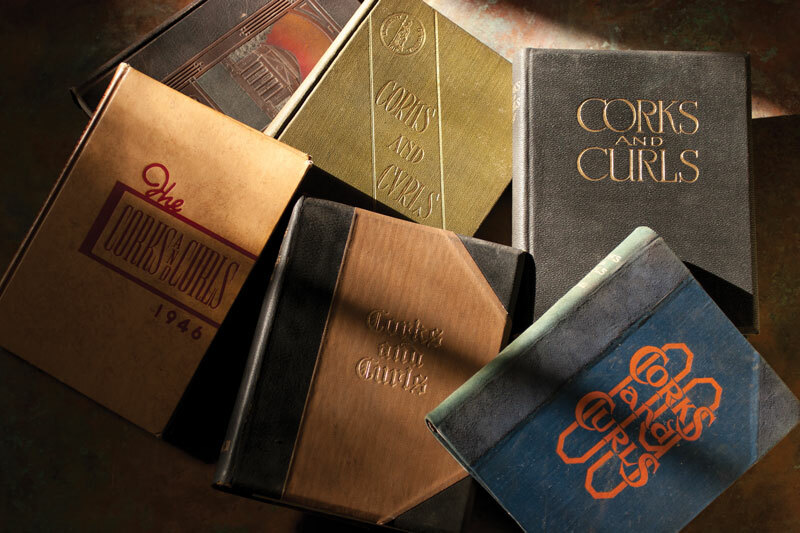 According to Mr. Jefferson’s University by Virginius Dabney, “to ‘cork’ in class was to flunk, while to ‘curl’ was to make a high grade.” Early editions contained multiple personal references easily understood by its close-knit community. 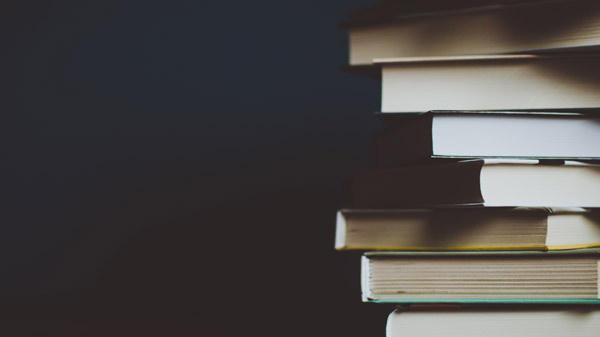 Now, with a readership of more than 16,000 undergrads, Corks and Curls takes a broader look at all aspects of student life. 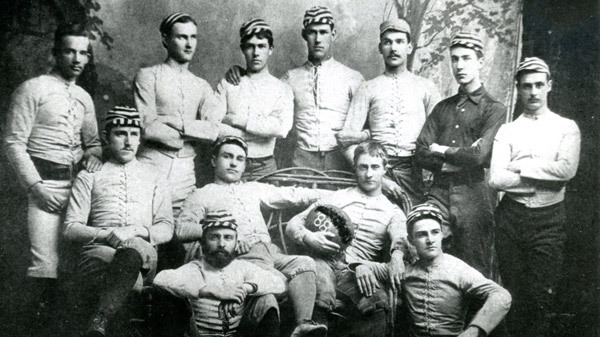 Both football and baseball were played on Grounds as early as the 1870s, “including one reference to a contest against Washington and Lee in 1871, of which there is no record of the game or score,” according to The University of Virginia Football Vault. Virginia officially launched a football team in 1888, beginning with a 20-0 win over Pantops Academy, a private boys’ school nearby. 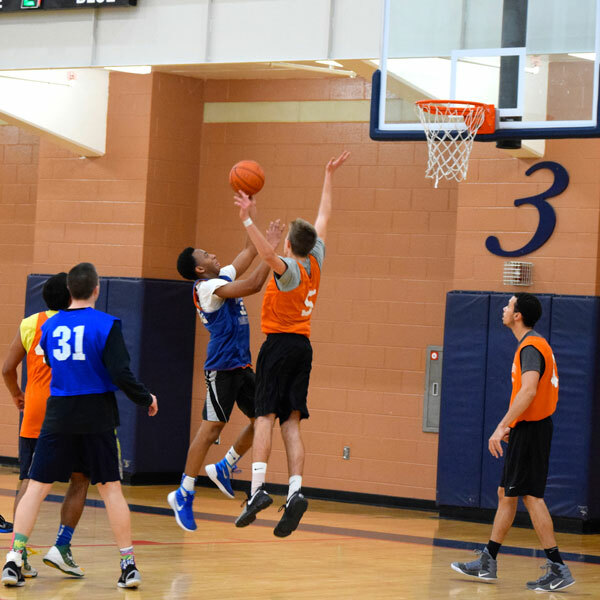 The second game featured a win over another unusual opponent: a combined team from Virginia Theological Seminary and Episcopal High School in Alexandria. 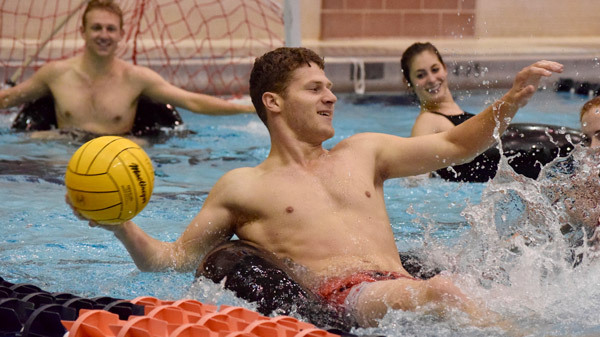 A true intercollegiate matchup didn’t occur until game three, against Johns Hopkins University. UVA lost, 0-26, ending its short inaugural season. 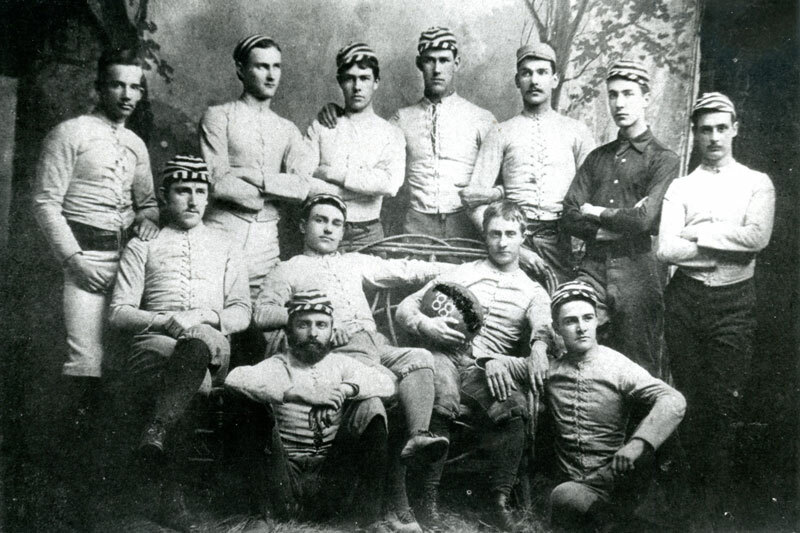 According to some intriguing statistics from the 1888 edition of Corks and Curls, the heaviest student that year weighed only 184 pounds, so these first football players were far from bruisers. 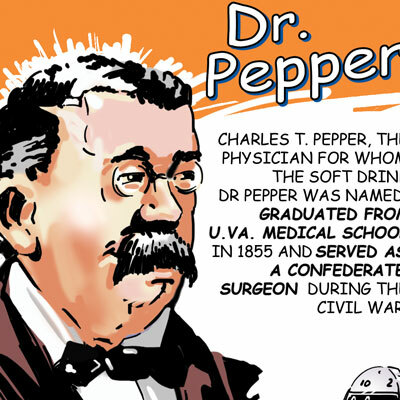 Do you know which popular soft drink is named for a UVA alumnus? Or how about the top-secret military experiments conducted in the shadow of the Rotunda? Want to know the top 5 hidden gems around Grounds? The all-time leading sports scorers? Top foods at the dining hall?